China will launch crude oil futures on March 26, as the world’s second largest economy moves to gain pricing power over commodities. After years of false starts, the crude futures contract will make its debut at the Shanghai International Energy Exchange (INE), the China Securities Regulatory Commission (CSRC), the country’s top securities regulator, announced Friday. Preparations for the launch of the oil futures have almost been completed, Chang Depeng, spokesperson for the CSRC, told a press conference. China set up a petroleum exchange in the early 1990s but soon ceased trading due to reform and market factors. The contract will enable China to develop its own benchmark for oil pricing in addition to current global benchmarks. The Asia-Pacific region has surpassed America and Europe in crude consumption, but a benchmark with high recognition is still missing. 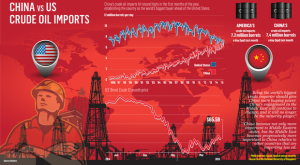 China is the world’s second largest oil consumer after the United States. Demand is likely to soar in the future as the country is thirsty for the source of energy to fuel its economic boom. In the absence of a crude benchmark in the region, Asian countries pay more than Europe and America for imported oil. It is an additional two billion U.S. dollars a year in the case of China. The WTI and Brent futures contracts are not accurate reflections of oil prices in Asia. 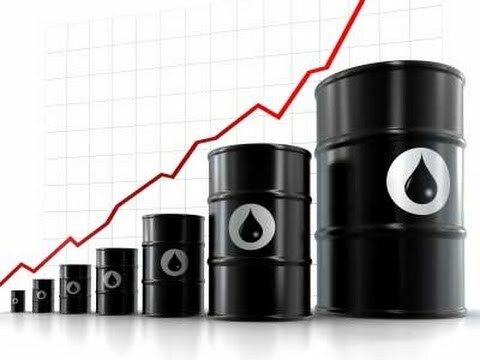 China’s crude contract offers companies in the real economy a hedging tool which better reflects market conditions in Asia, said Wu Jian, a senior researcher with the Bank of Communications. The new move will also boost yuan’s global use through increasing the trade of yuan-denominated oil. Currently, the main global benchmarks for crude oil are priced in U.S. dollars, threatening China’s energy and economic security. The yuan-denominated contract means the Chinese currency will play a greater role in trade between China and other oil-producing countries. But analysts said it could take time before China’s new oil futures challenge the dominance in oil trading of the two current global benchmarks, or the prominence of U.S. dollar in the global financial system. Bai Ming, a researcher with China’s Ministry of Commerce, said it is natural that competition arises after long time of development, but challenge will not necessarily happen in the end. Importers that buy yuan-denominated oil contracts may not necessarily drop out of the European and American markets. It is very likely that they keep multiple selections to serve businesses in different regions. China has been working to translate its growing economic might into real influence in the ways of having greater voices in global price-setting and making its currency play a bigger role on the global stage. The yuan is gaining prominence in cross-border trade. A survey by the Bank of China said 76 percent of respondents from 25 countries and regions believed the yuan would play a role as important as other major currencies, including the U.S. dollar, British pound, euro and Japanese yen. That proportion rose from 72 percent from 2016, reflecting improved confidence in the yuan’s global prominence. In 2017, the yuan remained the world’s sixth-largest currency in payments and seventh-largest in foreign exchange reserves, according to the survey. Finance, Politics, Translations Crude Oil. permalink. 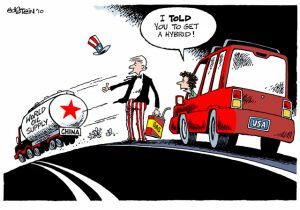 Will the USA Invoke the Monroe Doctrine?